It’s here, new, and exciting! 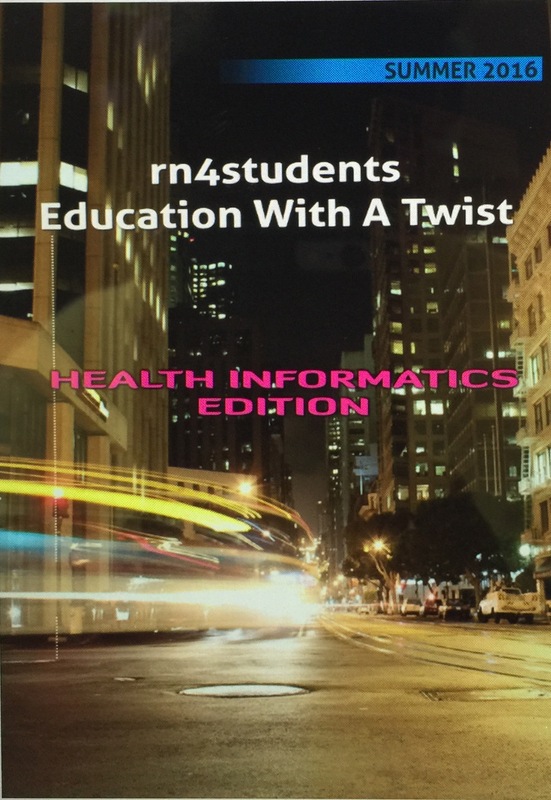 Check out my eMagazine rn4students Education With A Twist, Health Informatics Summer 2016 Edition! There are various articles to guide Registered Nurses and nursing students into the field of Health Informatics. You will learn about what it takes to get your foot in the door, getting into the right graduate programs, etc. Get your copy today! Next YOU HAVE A NICE COLLECTION OF CRYSTALS! !